Y’all – let me just tell you, it seems so strange to be seeing school buses roll by the windows outside the office. I cannot believe school is already back in session! 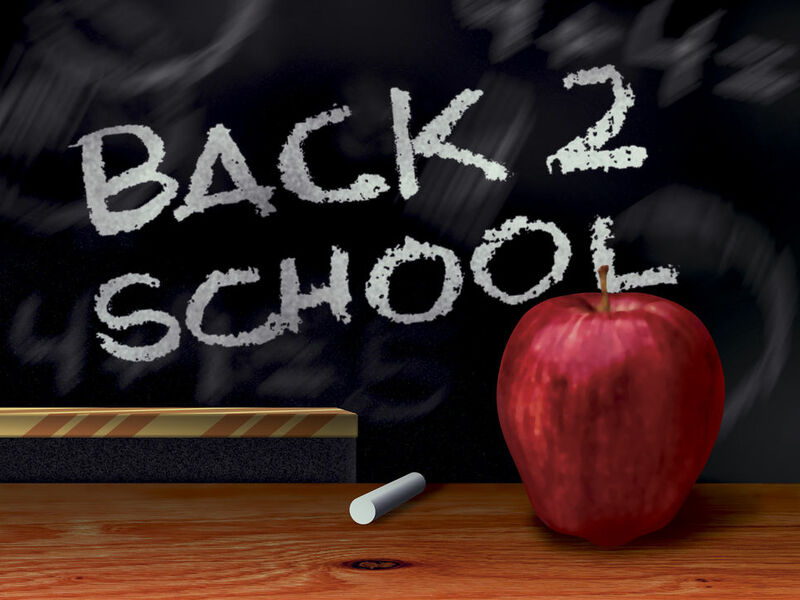 I remember so many things from my days of school and one of the things I remember is way back when school didn’t start until the week after Labor Day – as in, September! I am on my on at this point in the script but I keep seeing everyone posting pictures on Facebook of their kids heading off to school, starting their last year of school and even starting their first year of school and it brought back so many memories. I thought I’d share a few here. Kindergarten – I was not a fan at first; I don’t like big crowds, even when the crowds are of little people like I was. In time though, I came to love it; especially when I got to spend time in the house center and the reading center. What can I say, even at five I already knew exactly what I liked: reading a good book, cooking good food and loving on babies! First – Fourth Grade – I’m pretty sure my favorite thing about grades one through six was going to the library. No kidding. I loved every single aspect of being in the library; I am not even kidding. I loved (still love) the smell of the books, seeing so many shelves filled with stories I hadn’t read was almost too much for my little heart to handle and when we all got to sit around during story time, well folks, my day was complete. I know that whatever day we visited the library was always my favorite day of the week; as a kid that made even Mondays bearable! The one thing I didn’t like about the library? I could only check out one book at a time! Fifth & Sixth Grade – Changing classes; all of a sudden being organized was even more important. You had to make sure that you had the correct assignment with the correct book and everything – yikes! Also, the horror as the realization set in that just because you got a good homeroom teacher, that wasn’t going to mean much because you had to rotate between three or four different teachers and there was no guarantee that they’d all be so nice. Jr. High – I don’t think I’ve ever been as nervous as I was the day I started Jr. High! I remember having to go to the gym (again – not good with big crowds!!) alone, find my friends and then wait to be sent off to class. Of course, once that initial hurdle was cleared, there was the day to day of being in junior high. I quickly discovered that math was NOT my subject (and I had a teacher who let me know she completely agreed – yeesh!) but I was going to be really interested in History, English (at least the reading part of it) and Science. I know, what a total nerd, right? It’s okay – I’m cool with that now. High School – Oh goodness, Lord knows I could write a whole post about each separate grade. I remember so many things about high school; learning all about the ins and outs of cliques, accepting after taking Algebra I in 9Th grade and barely making a C that I could only handle Algebra II and then I’d leave math alone, reading the part of Julius Caesar in 10Th grade English and collapsing dramatically on my desk after I uttered “Et tu Brute?” (Who knew I had such a flair for the dramatic?) getting the biggest thrill when I knew Mrs. Waters word of the week in 11Th grade English…the list goes on and on. Prom committee, homecoming pep rallies and games, being in the beauty pageant, chorus concerts and trips, prom. Knowing when I drove out of the gates for the last time that real life was about to start and realizing what I thought was real life then and what I know to be real life now are two totally different things. One last thing – all the fads! The things my friends and I just thought we had to have, looking back now makes me absolutely crack up. Here are just a few of the things I remember: Jansport book bags, Umbro shorts & t-shirts, Birkenstock shoes (both the sandals and the clogs), L.L. Bean book bags that had to have your name on them, Sak purses, rope sandals (which were not comfortable!) overalls and Wallaby’s. At least I still have my L.L. Bean book bag – those things were made to last. Well – there you have it! A small re-cap of some of my memories from all my years of school. Sometimes those days seem like they happened hundreds of years ago and at times they seem like they were just yesterday. Do you have any fond memories from school? Like I said – I could write a novel!